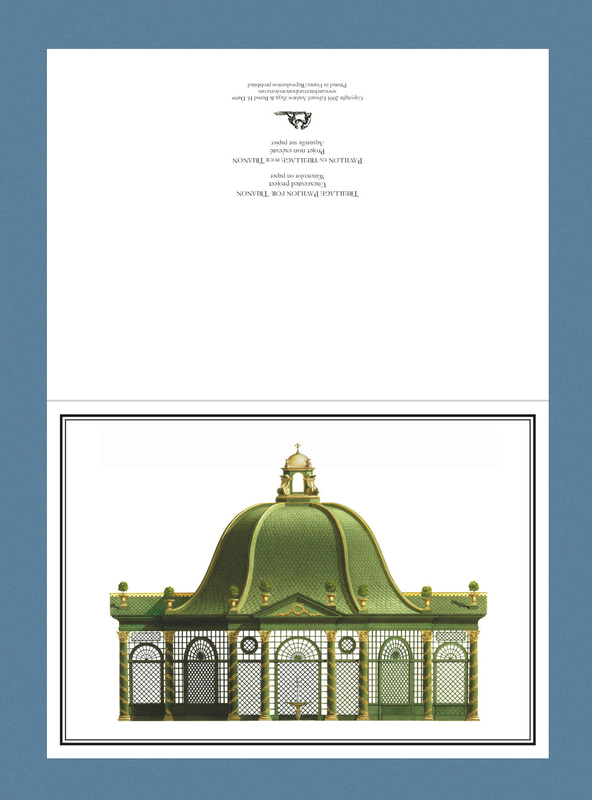 We offer nearly 200 deluxe, oversize folding cards reproducing our elevational watercolors of historic buildings, projects and garden ornament, divided into five categories to aid you in browsing through our catalogue. A signature of the collection is that each image is bordered by black framing fillets—a design reference to eighteenth-century architectural engravings, which often featured such borders. 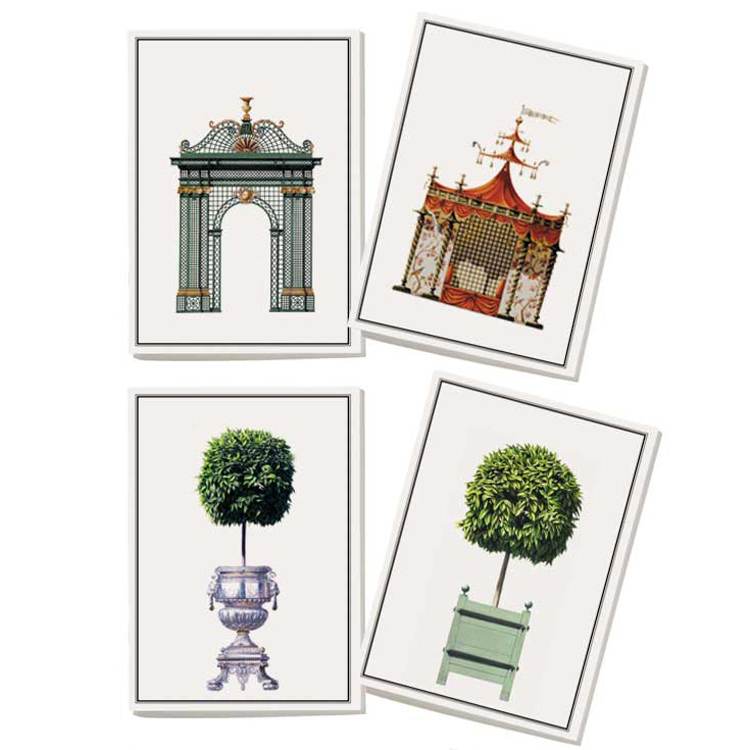 All cards (except Alphabet notecards) are printed on a heavyweight, 250-gsm laid paper (which is finely textured with distinctive parallel ridges), and has a crisp white color. Please view the images above, which capture these details. 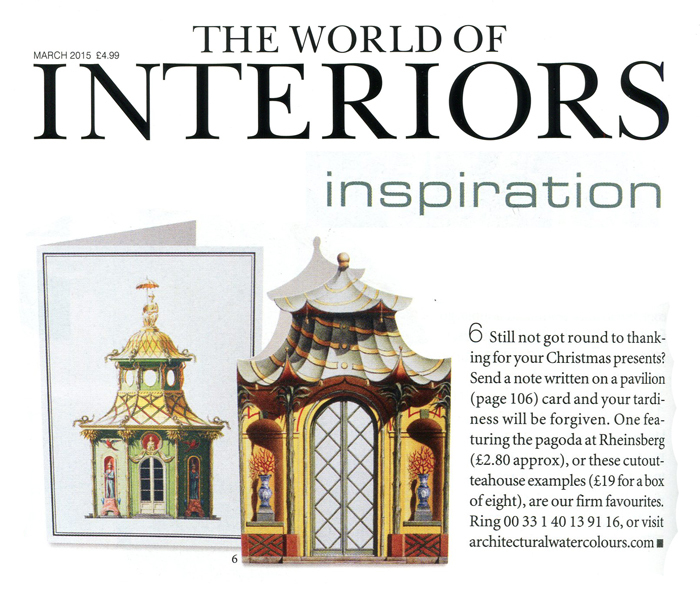 The dimensions of each card are 148 x 210 mm, or 5.85 x 8.25 in., which is an A4 sheet of paper folded in half. 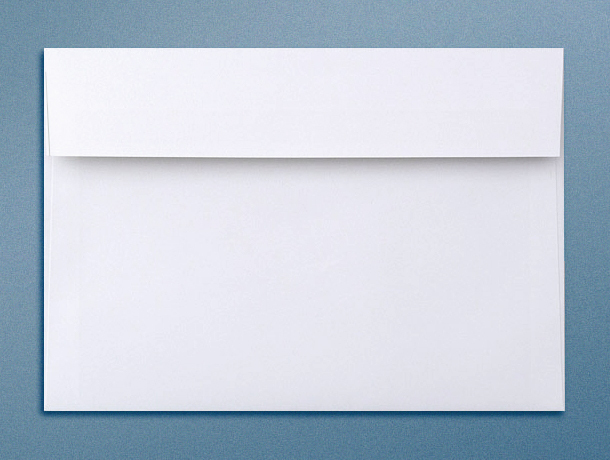 Cards are supplied with C5 “peel & seal” envelopes crafted from a matching 120-gsm paper. 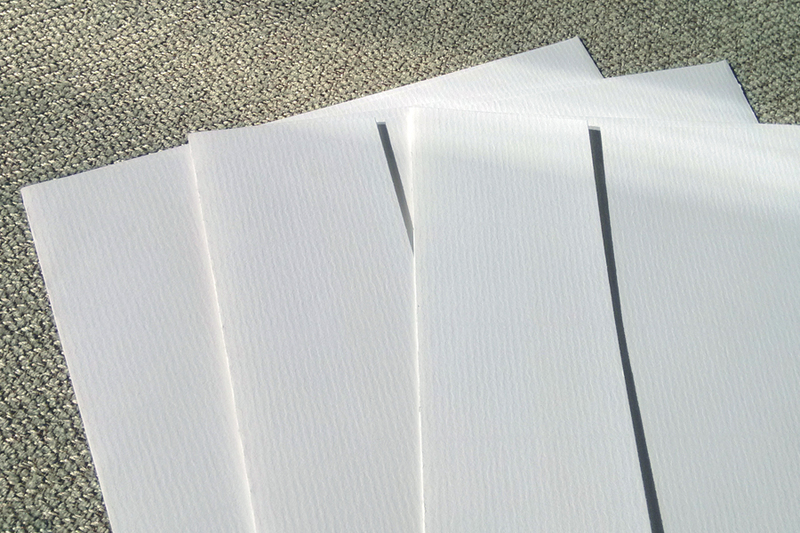 Alphabet notecards measure the same dimensions cited above. 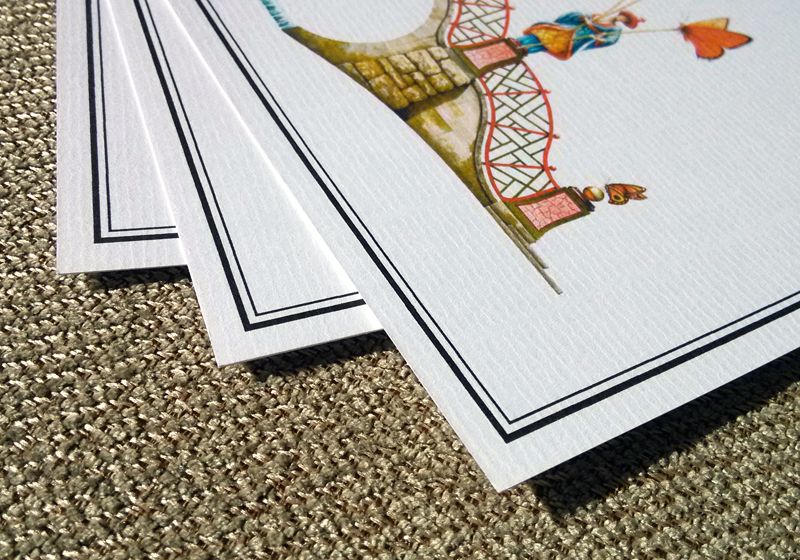 They are printed on a 220-gsm wove paper, which is unstructured and uncoated and has a slight off-white cast.